Where can I store my luggage in Dublin? Stasher has built a network of shops and hotels all over Dublin (StashPoints) where customers can book affordable and convenient storage as an alternative to luggage lockers or more expensive luggage storage shops. Dublin 🍀 is one of the hundreds of cities worldwide that benefits from having many ideally located StashPoints. These are trusted hotels, shops and businesses with secure storage areas dedicated to storing bags for Stasher customers. Why store your lugagge with Stasher? Choosing to store your luggage with Stasher is a smart option that can save you time, money and most importantly, peace of mind. Thanks to our full insurance on each stored item, you can enjoy the rest of your trip to Dublin without a worry in the world 😌. We’ve partnered with hotel chains like Accor Hotels (owners of Ibis amongst other brands) and Premier Inn and set up our operational processes to match their safety standards. How much does it cost to store your luggage in Dublin? It’s just £5 / €5 / $5 per bag per day, and £5 / €5 / $5 for any additional day. Our hosts have all been vetted by a member of our team and are located near the central Busaras Station, the Temple Bar district, O’Connell Street, Trinity College, Heuston Station, Temple Bar district 🍺, O’Connell Street, Trinity College, Heuston Station, St Patrick’s Cathedral and the National Museum of Ireland, to name but a few. Our Dublin StashPoints are not only centrally located, but they are also open until late in the evening or even 24/7. Even if you have a late flight, you can still find a StashPoint that caters to your needs. For your convenience, check the opening hours of the store before proceeding to a booking. Storing your luggage in Dublin with Stasher is easy! 2. Book through our online platform to secure your storage. 3. Drop off your bag! 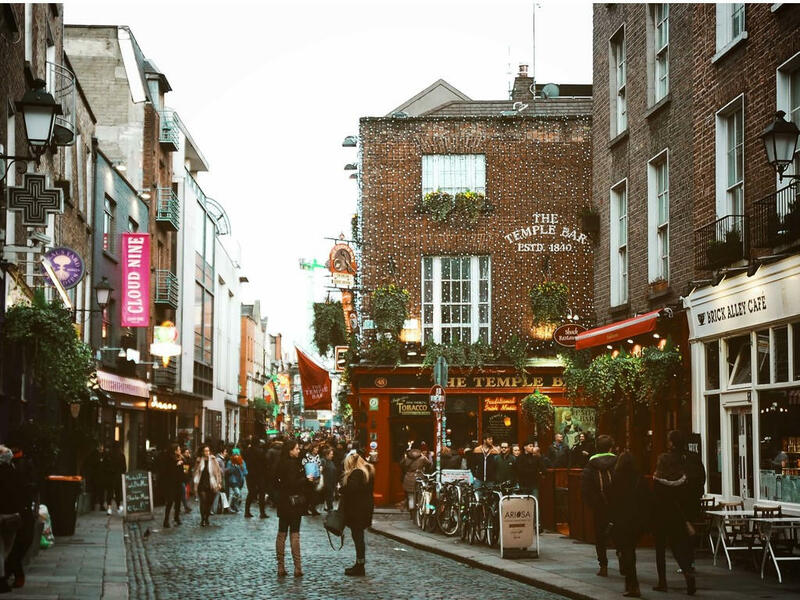 In three simple steps, you are ready to enjoy everything Dublin has to offer! What are you waiting for? There are self-service lockers at Dublin Busaras Station. You can choose from small, medium or large sized lockers, but please note that they have been out of order recently ⚠️ and the official bag policy of the station is subject to change. The luggage storage lockers are located inside the Busaras station main building. The luggage storage area is open daily from 05:00 to 01:00. Large locker costs €10 for a day and holds one large suitcase only. You will have to pay extra for a carry-on (if you find a working locker). There have been reports that many of the luggage storage lockers in the station are not operational, so you might be better off searching for alternative options around the station. The Excess Baggage Company provides luggage storage in Dublin Airport. This can be useful if you are only planning a short layover and are not staying in the city overnight, but it is worth bearing in mind that it is almost double the price of storing with Stasher. The Excess Baggage Company luggage lockers can be found in the terminal 1 arrivals hall at Dublin Airport. The storage facilities are available 24/7, while the staffed facility is open 05:00-23:00 daily. Prices start from €7 for 24 hours, making luggage storage at Dublin Airport significantly more expensive than storing with Stasher. Here are some other luggage storage options around the city of Dublin if you want to search a bit before proceeding with a booking. Stasher is more affordable than most of the other options around the town, but it is good to know about other alternatives. The Tourist Office has a large basement where they can store bags, and they have been doing this for some time. However, you will only benefit from insurance cover and 24/7 customer support if you make a reservation through Stasher. After Heuston Station closed their self-service lockers, some hostels in the vicinity have started offering luggage storage on an ad hoc basis. If you’re staying at a hostel, it might be worth checking out if they can store your bags before check-in or after check-out.